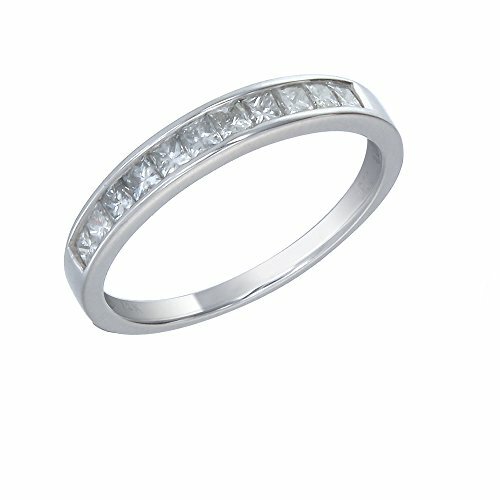 Gorgeous, elegant AGS certified wedding band in 14K white gold with 1/2 ctw of 11 stunning princess diamonds in a channel setting. The diamonds are I1-I2 Clarity and H-I Color. Proudly handcrafted in New York City, USA. Natural diamonds.